Gau rakshaks as members and a Rs 20-crore fund: that's Haryana's cow-commission for you. Since Prime Minister Narendra Modi has said that he will ask state governments to identify and take action against cow-vigilantes, the exemplary work that the Haryana government is doing for cow-protection deserves a mention. The BJP-led government in the state has shown great eagerness in breathing life into a commission set up by its predecessor state government in 2010 - The Gau Sewa Ayog (Cow Service Commission). In fact, the state government, led by Chief Minister Manohar Lal Khattar, has been so keen in promoting this commission that it seems to have either rushed through the process of appointments or ignored the background of the appointees. While it has already been reported that nearly all the 12 "non-official" new members have links with the Rashtriya Swayamsevak Sangh, some of them appear to have the same kind of background that Modi has warned against. 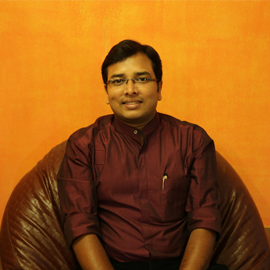 One of the members is Acharya Yogendra, a resident of Rohtak. Chief of the vigilante-outfit is a member of the Commission. 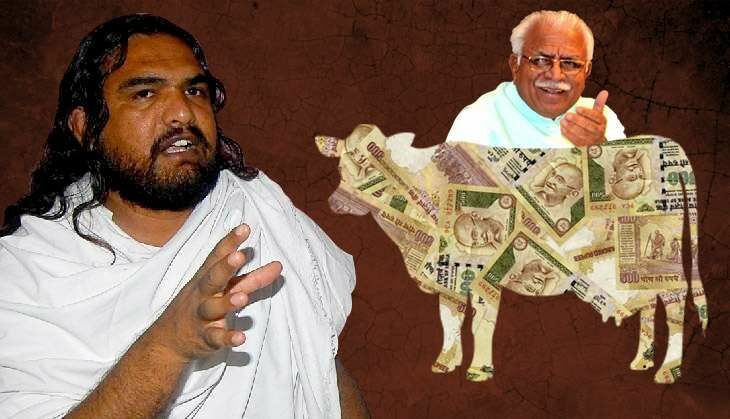 While the official notification identifies him as 'Representative of Gaushala', Yogendra is the head of a Haryana-based outfit called Gau Raksha Dal. The Dal's members have been notorious for a long time in the state for exactly the kind of vigilante acts that Modi talked about in his speeches last week - catching, threatening and physically assaulting those whom the group suspects of 'smuggling' or killing cows. In fact, members of this very outfit were said to be behind a particularity shocking incident reported in June from near the Badarpur border. A group of self-proclaimed Gau Rakshaks assaulted alleged 'beef-transporters' from Mewat and forced them to eat a concoction of cow-dung and cow-urine. Bhani Ram Mangla is the chairman of the Commission and is former head of the BJP's "Gau Vansh Vikas Prakoshth" (Cow Protection Cell) in Haryana. He was evasive when Catch asked him whether his colleague Yogendra had links with those assailants. Mangla told Catch that the question was irrelevant because the video was found to be doctored. He explained that he got the video investigated and discovered that name of Gau Raksha Dal's members were falsely dragged into the incident, because the faces of the assailants were not visible in the video. In a measure of the power that the Commission wields, Mangla said that his investigation led the police to cancel the FIR in the case against the assailants. He didn't explain that if the assailants were not recognisable, why was he so keen to get the FIR against them cancelled? The entire episode is only one example of the backing that Haryana government provides to the Commission. The Commission has money too, having been allotted Rs 20 crore for the financial year 2016-17, as against Rs 9 crores in 2015-16. Mangla has multiple plans to put this money to use and also says, proudly, that CM has assured him that if need be more funds will be provided. They have already succeeded in persuading the state government to set up a special police force for protecting the cow from smuggling and killing. Mangla also informed Catch that a helpline for the purpose is about to be set up, with a toll-free number and a control room in Haryana. As for the members, each of them have a three-year tenure. According to Mangla, their roles were "just like MLAs", that is to give suggestions and ideas and propose schemes. As of now, they get travel allowance and dearness allowance to attend meetings of the commission, but are all set to get more allowances. Mangla said that he had recently framed the rules for the Act under which the Commission was set up and had proposed more allowances for members. He refused to share details as they were currently being considered by the government.